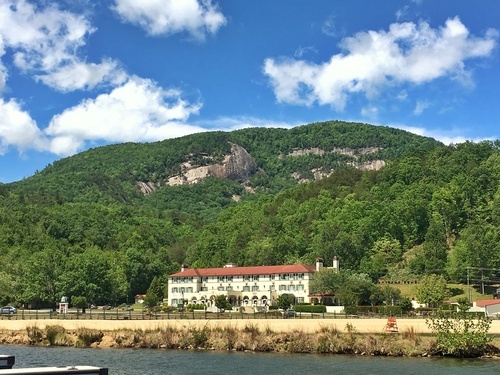 1927- Located in picturesque Lake Lure, North Carolina, the Inn was first opened to guests in 1927. The Grand Lobby and hallways exhibit original antiques, furnishings and artwork. 1927 Lake Lure Inn & Spa is located in the downtown Lake Lure, across from Lake Lure Beach. We are one mile south of Chimney Rock Village.